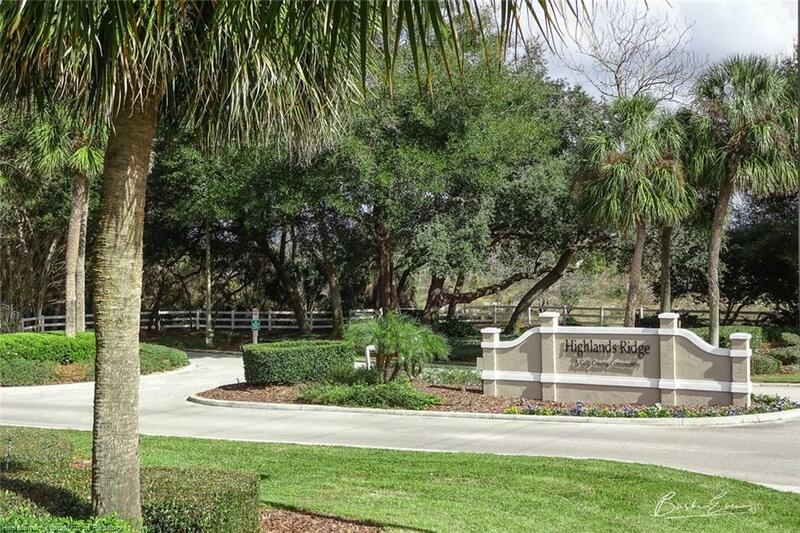 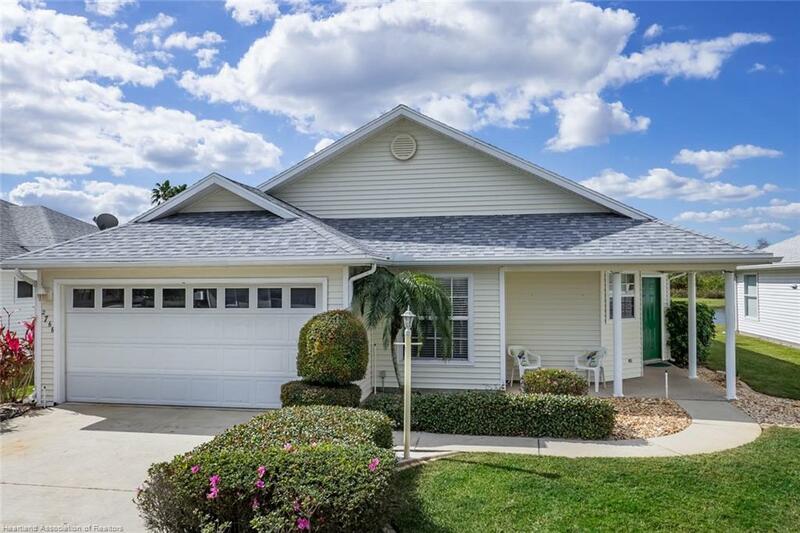 This wonderful home beckons you to come inside. 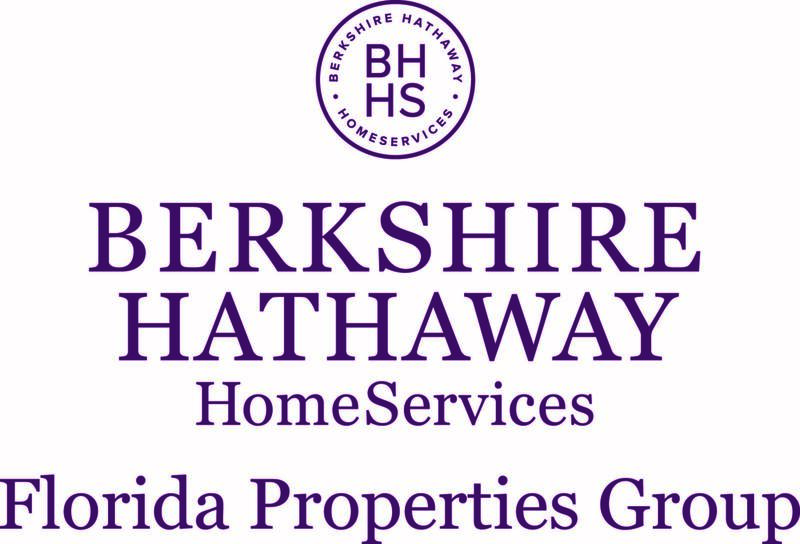 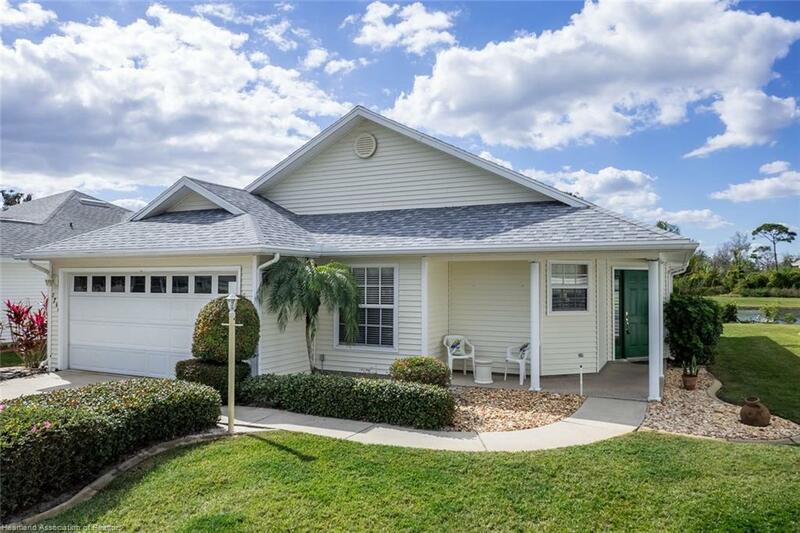 Starting with the curb appeal of the covered front porch and concrete landscape curbing, to the backyard with its fabulous pond & golf course view! 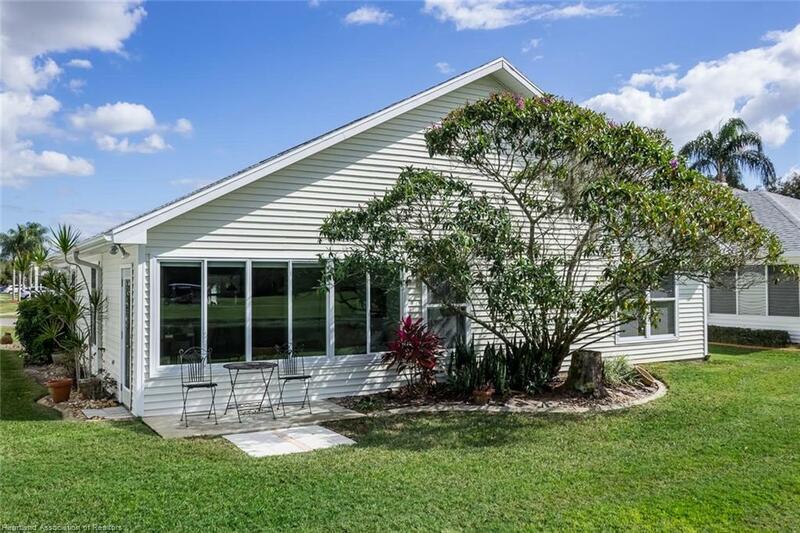 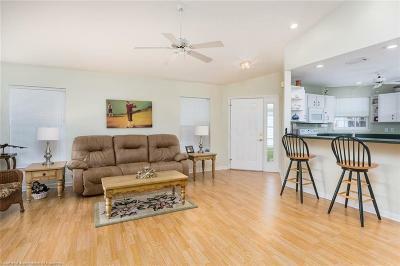 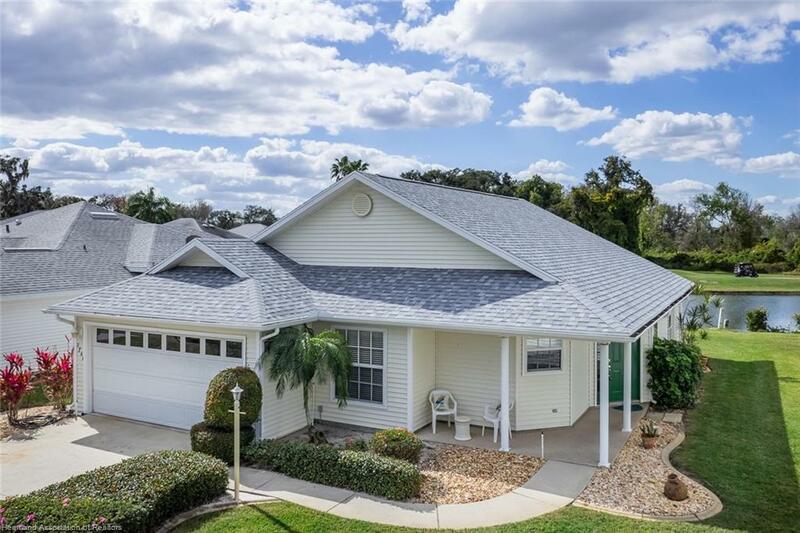 This home offers an open floor plan with vaulted ceilings, plant ledges and wood laminate flooring in the Living Room, which opens directly into the Florida Room. 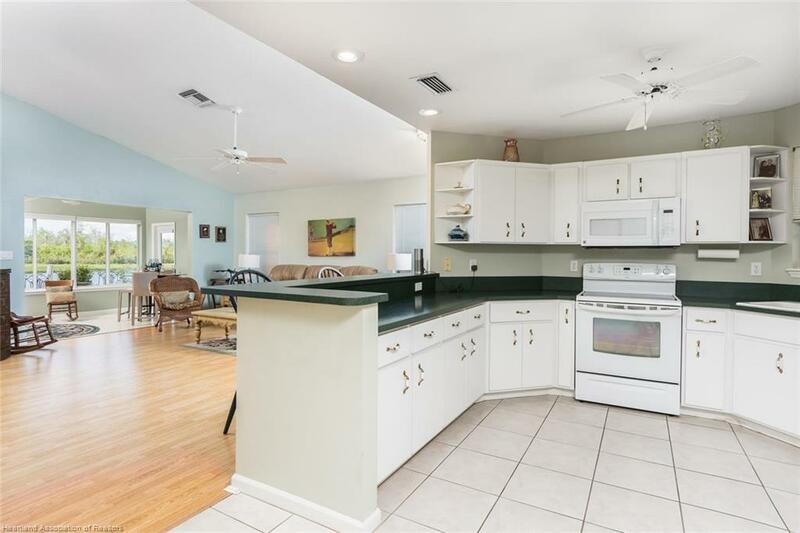 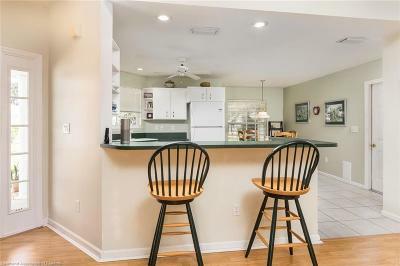 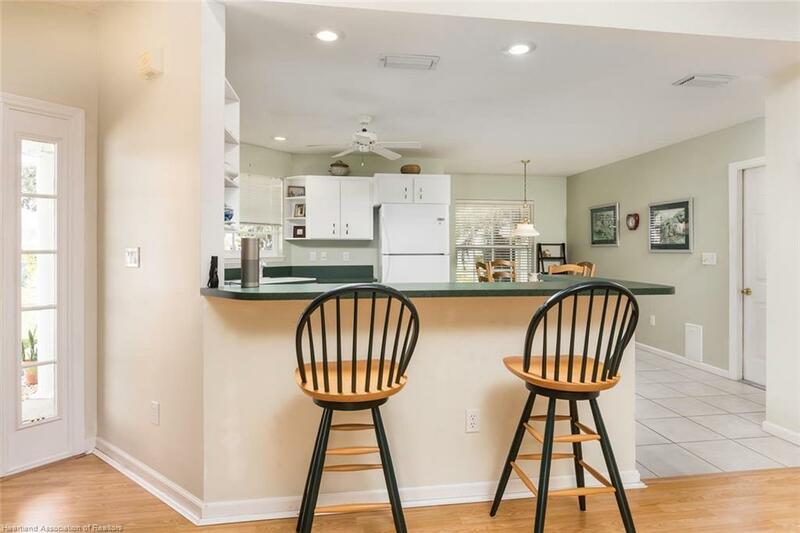 The spacious Kitchen with Dining Area is separated from the Living Room by a Breakfast Bar. 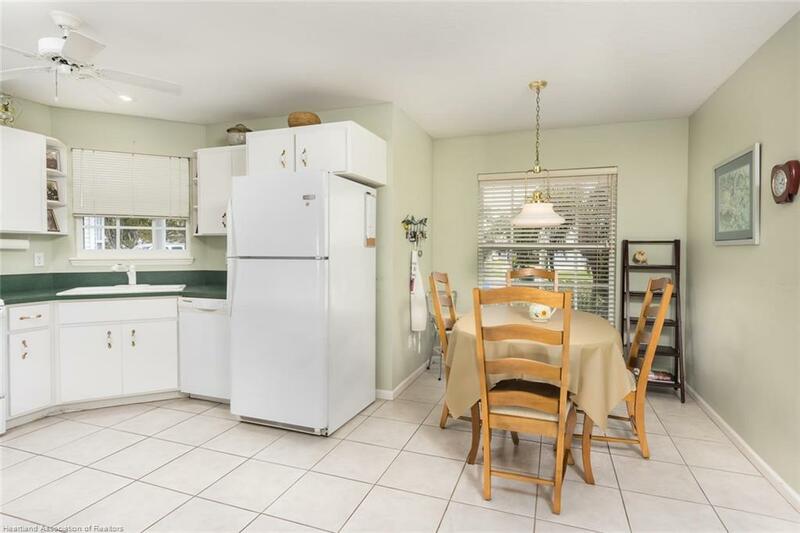 The Kitchen offers an abundance of cabinets as well as a pantry. 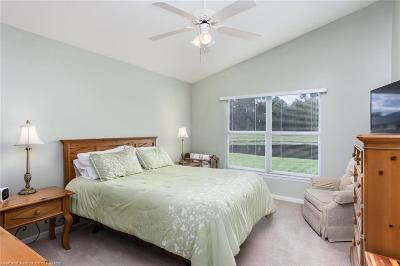 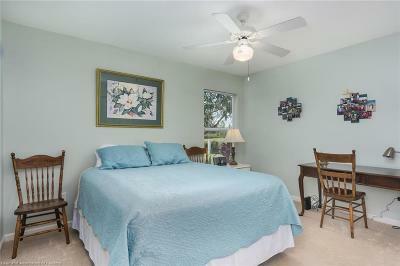 The Owners Suite has vaulted ceilings, giving it a more spacious feel, and a huge walk-in closet. 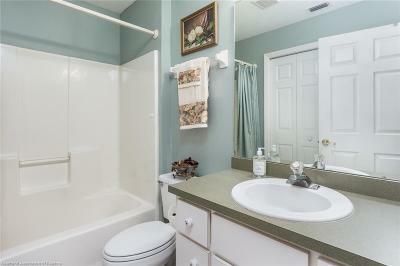 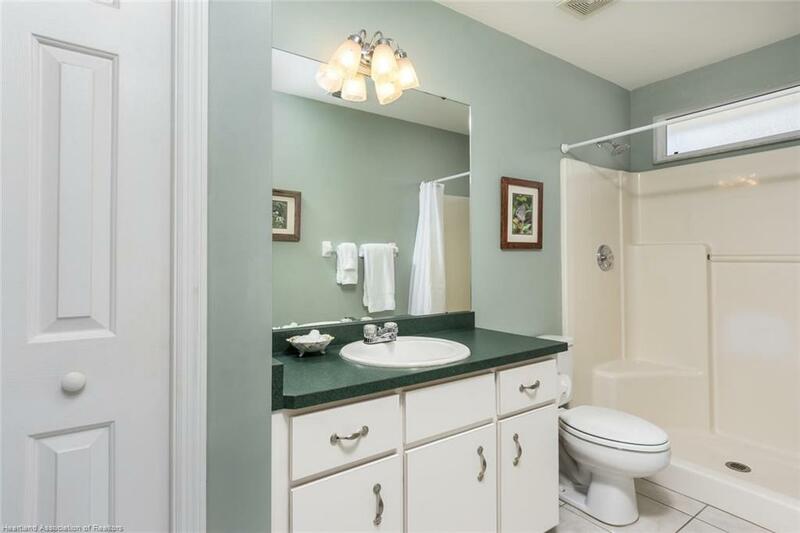 The En-Suite bath comes with a linen closet and step-in shower. 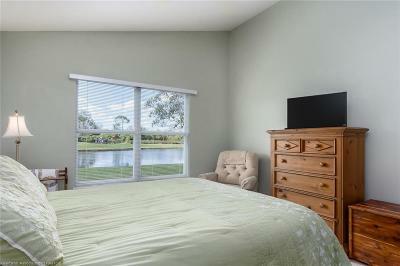 Youâll find crown molding and sliding double pane windows with accordion blinds in the tiled Florida Room. 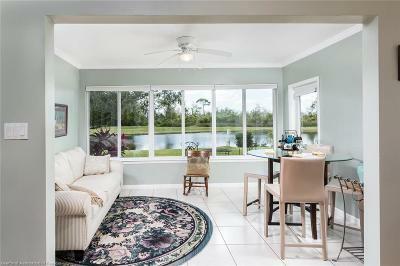 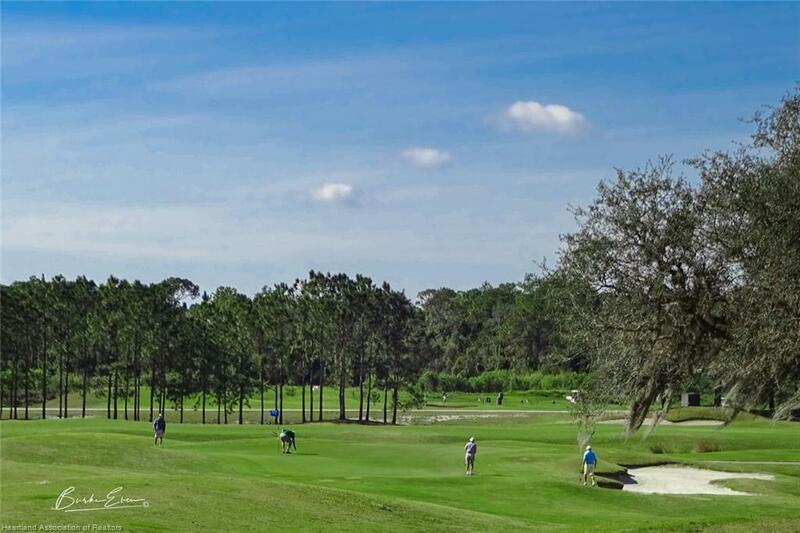 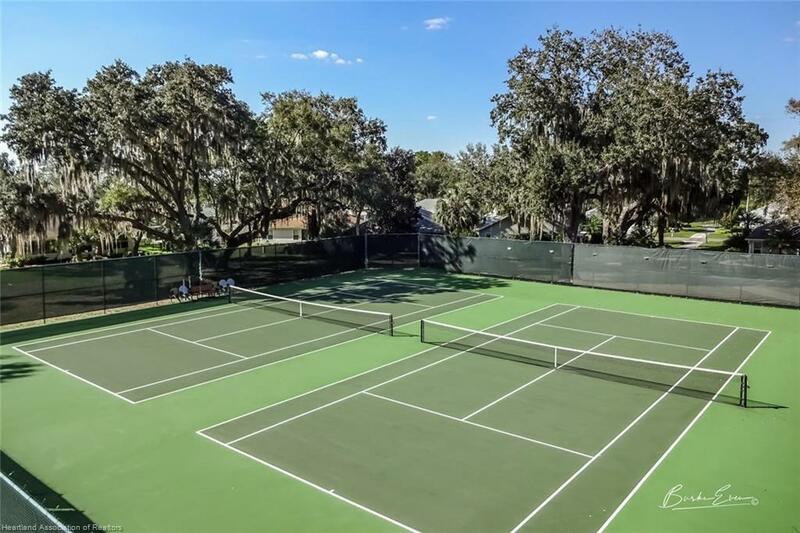 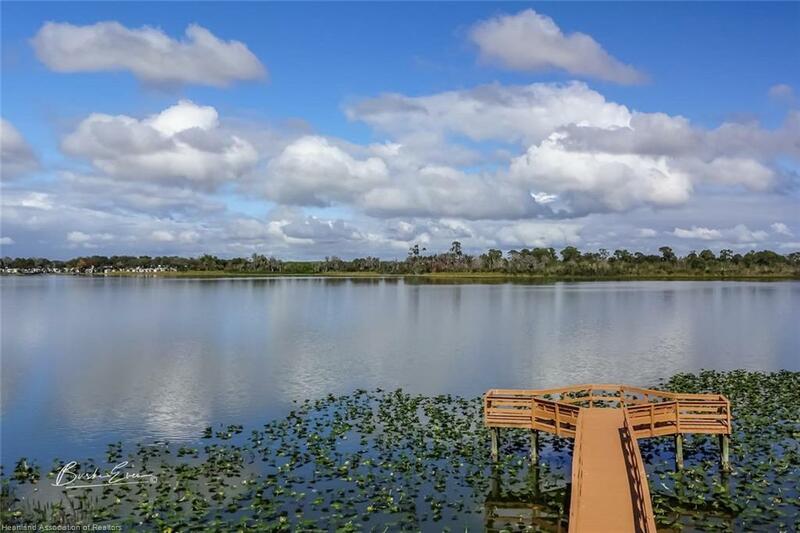 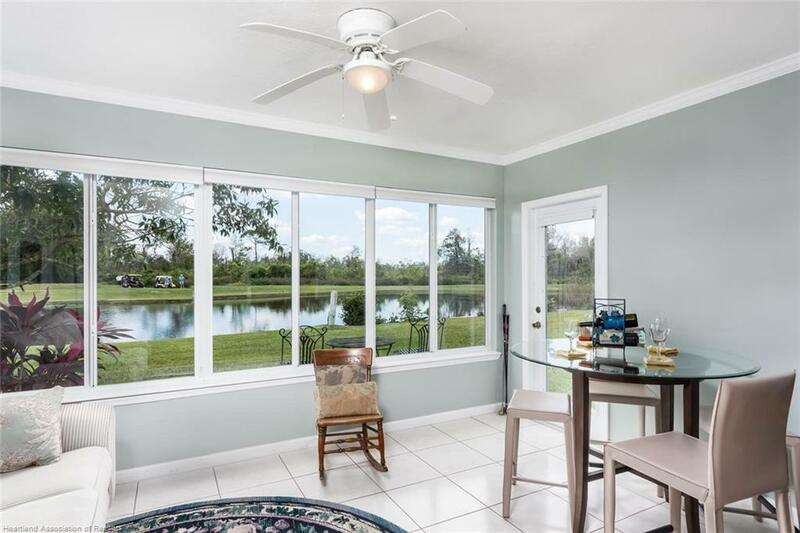 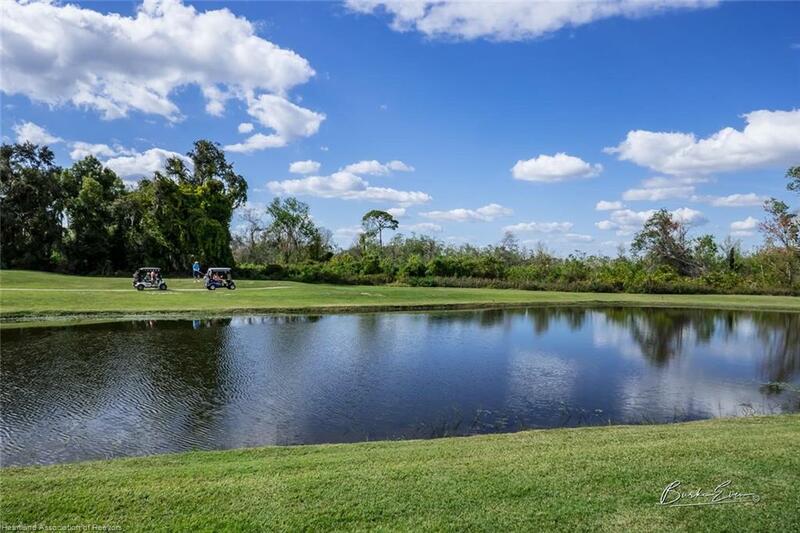 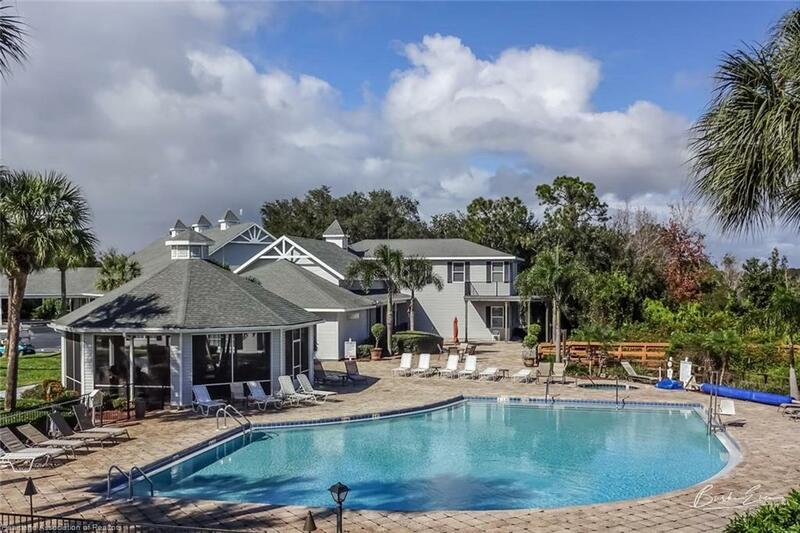 Thereâs also a small patio off the Florida Room thatâs perfect for grilling, catching a bit of sun, or simply enjoying the mesmerizing view of the pond and golf course beyond.